He did it again! Despite a difficult position after a rough Saturday, Johan Kristoffersson managed to score maximum points at the seventh round of this year’s FIA World Rallycross Championship. 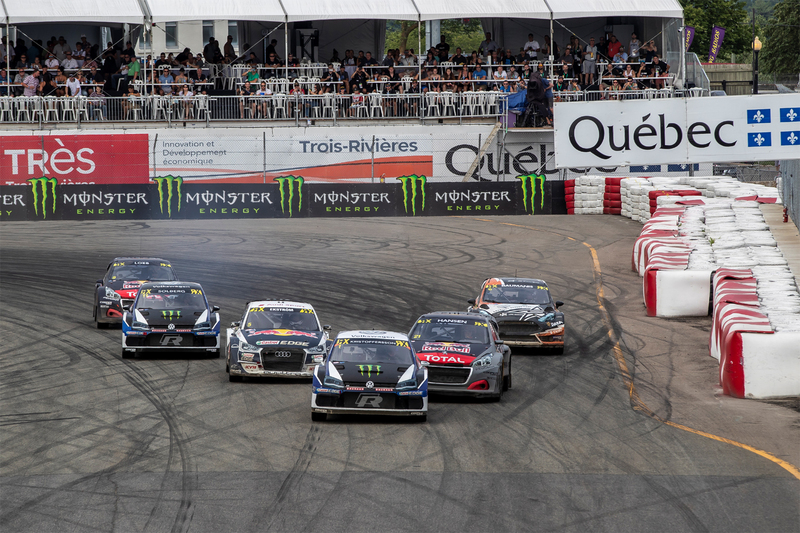 After the weekend in Canadian Trois Rivières, the PSRX Volkswagen Sweden driver has a comfortable 55 points lead. 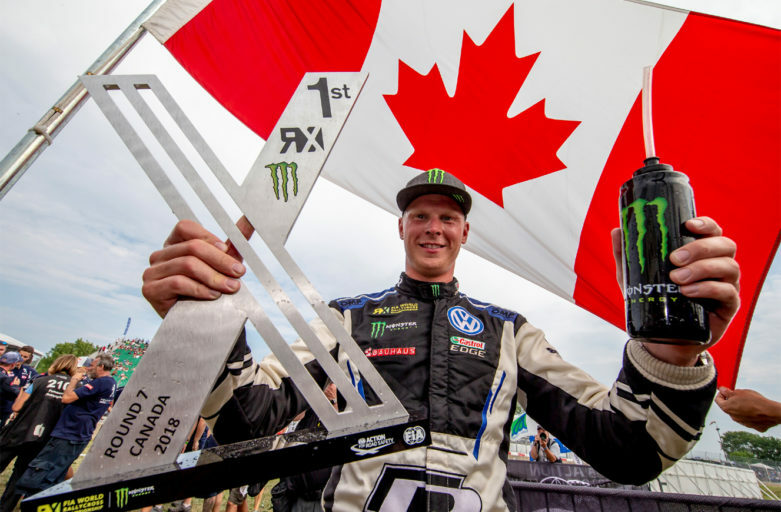 Last year’s winner of the Canadian World RX had a long and somewhat troublesome road to the triumph. Johan didn’t get the best position in both Q1 and Q2 and with lots of battles and traffic, things got very tough. When he went to bed on Saturday night, he was ninth overall. Not the comeback after the summer break that he had hoped for. But just like many times before, everything turned around on Sunday. ”In situations like this, it feels so good to have a team-mate like Petter Solberg. I felt that I lost time on the gravel sections, so we sat down and talked about the car and my driving. He helped me a lot and on Sunday morning I did as he told me to” said Johan, while thanking his team-mate. After a tough fight with Kevin Hansen in Q3, Johan managed to win the race and was also quickest overall in the heat. That put him in a great position for Q4, something that he really took advantage of. He drove his Polo R Supercar to a safe heat win and got away with 16 points from the qualifying heats, which is a maximum score. In the semi-final, Johan was off to a fantastic start and dominated the race until he, as most times this season, crossed the finish line as the winner. From pole position in the final, Johan had a trouble free ride towards the sixth victory in seven rounds so far this season. As a bonus, the Swedish star collected maximum points (30) for the fourth time in a row. What a performance! In the Drivers’ Championship, Johan is in the overall lead with his 195 points. Sébastien Loeb and Timmy Hansen are 55 points behind him in second and third place. Copyright © 2019 Johan Kristoffersson. Theme: Himalayas by ThemeGrill. Powered by WordPress.